This ticket allows general access to Rampage Open Air on Saturday 27 July 2019 - 14:00 till 03:00 for 1 person and camping access until Sunday morning! 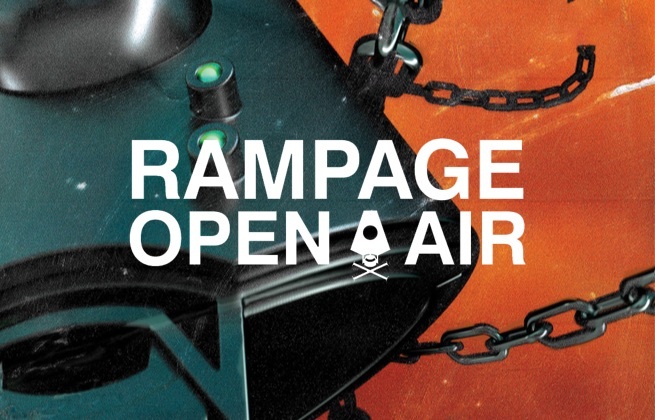 This ticket allows general access to Rampage Open Air on Saturday 27 July 2019 - 14:00 till 03:00 for 1 person. This ticket allows VIP access to Rampage Open Air on Saturday 27 July 2019 - 14:00 till 03:00 for 1 person and Camping access until Sunday morning! Includes VIP fast lane entrance and VIP deck. This ticket allows access to Rampage Open Air on Saturday 27 July 2019 - 14:00 till 03:00 for 1 person. Includes VIP fast lane entrance and VIP deck. Create your own Rampage Open Air Hotel Package here! Includes VIP Ticket + Hotel. Create your own Rampage Open Air Hotel Package here! Includes Regular Ticket + Hotel. Want to save your energy for the actual dancing and partying? Book your own FestiTent now, come to the campsite and just relax and enjoy. Festival camping has never been chiller than without all of that gear and in a FestiTent. The FestiTent Easy is a comfortable FestiTent without air mattress or sleeping bag. Ideal for those who are attached to their own mattress, blanket and pillow. Or for those who enjoy the ‘real outdoors’ and like to sleep on the ground! The tent is divided into two sleeping compartments within between them central baggage and living area. Want to save your energy for the actual dancing and partying? Book your own FestiTent now, come to the campsite and just relax and enjoy. 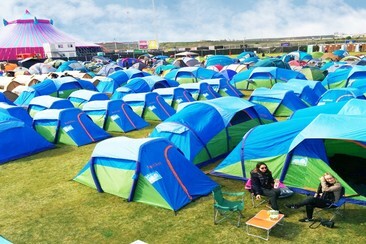 Festival camping has never been chiller than without all of that gear and in a FestiTent. The term Easy & Relax can be taken very literally. The FestiTent Easy-Relax is a spacious FestiTent with air mattress, lights, clothing hooks, storage compartments and a separate front tent and living compartment. The tent is divided into two sleeping compartments within between them central baggage and living area. Want to save your energy for the actual dancing and partying? 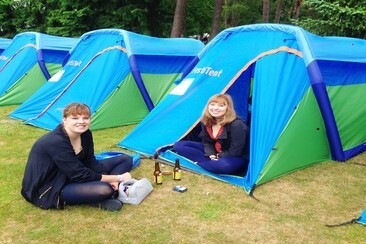 Book your own FestiTent now, come to the campsite and just relax and enjoy. Festival camping has never been chiller than without all of that gear and in a FestiTent. For those who want to stay 100% carefree @ Rampage Outdoor, we have the FestiTent Easy-Relax-Enjoy. On top of a spacious FestiTent with air mattress, you also get a comfortable sleeping bag and a pillow. Together with the lighting, clothing hooks, storage compartments and spacious front tent, this FestiTent is the ideal package to travel stress-free to your festival. The tent is divided into two sleeping compartments within between them central baggage and living area. 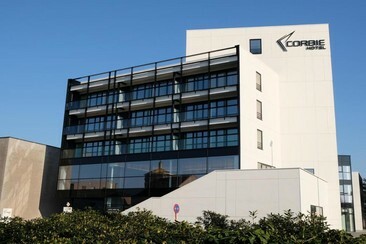 Corbie Lommel Ring is located near the ring way in Lommel. The church and shopping streets are about 400 m away. Lommel is situated in de "Limburgse Kempen", a region known for its large forests, heathland, dunes, lakes and flats of sand, all inviting you for an enjoyable hike are cycle tour. The train station is 3 km away from the hotel. 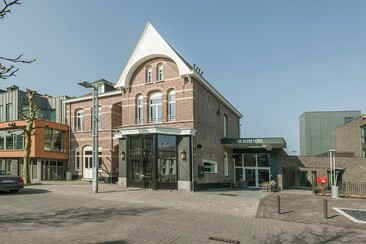 The closest airports are Eindhoven Airport and Antwerp Airport. The national airport of Brussels is at 120 km. Lommel is easily reachable by car using the N71 and N74. 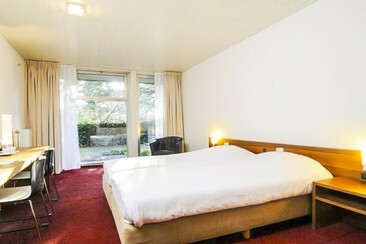 At the hotel, each room is equipped with a balcony, flat-screen TV with cable channels. The private bathroom is equipped with free toiletries. Purchase your Shuttle Bus Ticket here! From Mol Train Station to the Festival entrance and return! A one-way airport shuttle from Bus Parking Rampage Open Air to Eindhoven Airport. This service is provided by Maximal. A one-way airport shuttle from Eindhoven Airport to Bus Parking Rampage Open Air. This service is provided by Maximal. Travel with the Maximal Bus from Amsterdam to Rampage Open Air 2019. 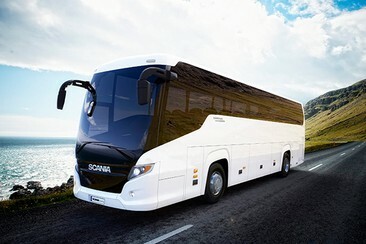 We ensure a safe, comfortable and affordable trip. We leave on time so we do not miss a moment of the festival. On board, you can expect your new festival friend, tour guide and door to door service. Get in! Travel with the Maximal Bus from Arnhem to Rampage Open Air 2019. 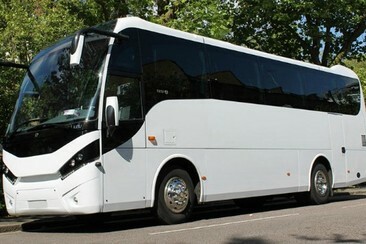 We ensure a safe, comfortable and affordable trip. We leave on time so we do not miss a moment of the festival. On board you can expect your new festival friend, tour guide and door to door service. Get in! Travel with the Maximal Bus from Breda to Rampage Open Air 2019. We ensure a safe, comfortable and affordable trip. We leave on time so we do not miss a moment of the festival. On board, you can expect your new festival friend, tour guide and door to door service. Get in! Travel with the Maximal Bus from Den Bosch to Rampage Open Air 2019. We ensure a safe, comfortable and affordable trip. We leave on time so we do not miss a moment of the festival. On board, you can expect your new festival friend, tour guide and door to door service. Get in! Travel with the Maximal Bus from Eindhoven to Rampage Open Air 2019. We ensure a safe, comfortable and affordable trip. We leave on time so we do not miss a moment of the festival. On board, you can expect your new festival friend, tour guide and door to door service. Get in! Travel with the Maximal Bus from Nijmegen to Rampage Open Air 2019. We ensure a safe, comfortable and affordable trip. We leave on time so we do not miss a moment of the festival. On board, you can expect your new festival friend, tour guide and door to door service. Get in! Travel with the Maximal Bus from Rotterdam to Rampage Open Air 2019. We ensure a safe, comfortable and affordable trip. We leave on time so we do not miss a moment of the festival. On board, you can expect your new festival friend, tour guide and door to door service. Get in! Travel with the Maximal Bus from Utrecht to Rampage Open Air 2019. We ensure a safe, comfortable and affordable trip. We leave on time so we do not miss a moment of the festival. On board, you can expect your new festival friend, tour guide and door to door service. Get in!